​Especially in one point, Tradespoon differs from other providers in this segment. 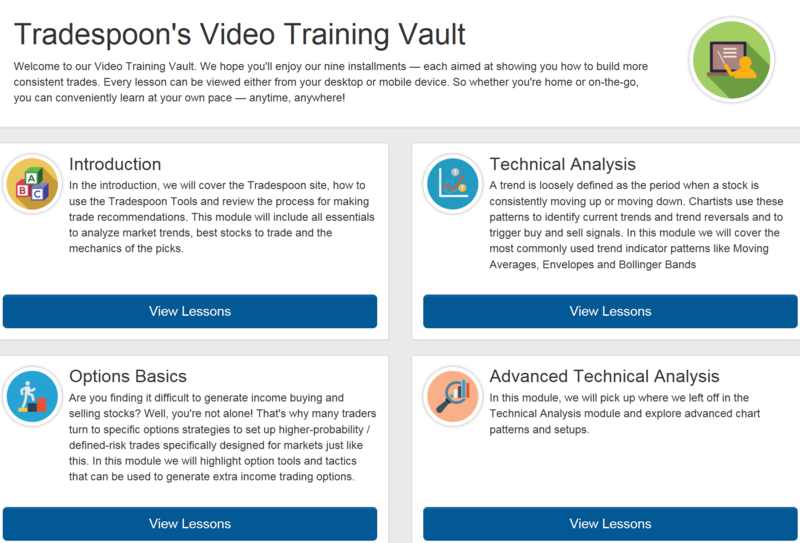 As the Tradespoon Review reveals, Tradespoon is one of the few tra​​ding course companies offering both; a 7-Day Free Trial ​and a 30 Day Money Back Guarantee. But how does Tradespoon compare to other vendors in this segment? That's exactly what ​you will find out in this Tradspoon review. Tradespoon presents itself as a Trade Intelligence Platform that wants the users to trade in a smarter way. They argue that successful professional traders are not depending on luck, but on the ﻿﻿best possible skills, tool and techniques﻿﻿. Tradespoon starts with big promises when it is mentioned that they work with an incomparably effective software, hyper-fast data transfer and outstanding tools to enable their users to make well informed decisions with the highest potential for profit. In this context they go so far to compare their service with the service of the competitors to come to the conclusion that their alert service, their newsletter and their app were simply the best. I think, this is quite courageous and very self-confident. At the same time they claim to be user friendly and affordable. Continue reading the Tradespoon Review to find out if Tradespoon is able to keep all these big promises. You will also find training videos, advanced tools and real-time data on many other trading platforms. So, I think, it is always a good idea to check the people behind the scenes to find out if you think, you may trust them. The most important person behind Tradespoon is ﻿﻿﻿Vlad Karpel, the CEO and founder of Tradespoon, who was the Executive Vice President and the Head of Technology of OptionsXpress since their beginnings in 2007. The figures of the following years are impressing and they seem to tell a story of success. By now Vlad Karpel looks back to more than 15 years of experience in this business and he wants to share it with the users to help traders of all different levels to make better informed, smarter and more successful trades. He believes in the positive effects of the right teaching methods and, even though he promises that the users will always be supported at Tradespoon and that he will always be ready to answer all kinds of questions, the final aim is to enable the users to succeed on their own. To reach this, Vlad Karpel offers the subscribers to look over his shoulder while he is trading himself. If this is all true, it doesn't sound bad at all. Fine, this sounds comfortable and the website makes it easy to navigate and to find what you are searching for. But, is Tradespoon really so much better than all of the many competitors in the market like Trade Ideas and Warrior Trading? ​Let's start with the good news. 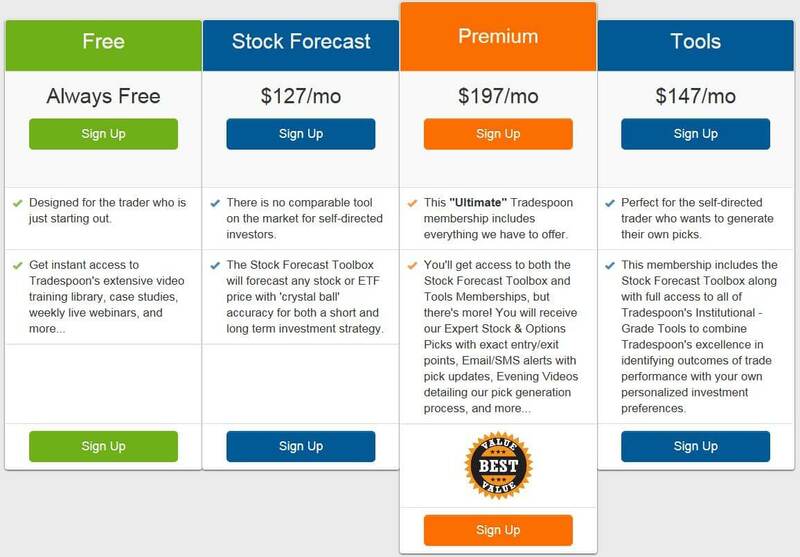 Tradespoon offers a 7-Day Free Trial and this free membership offers a lot. So, you have a whole week to find out yourself if Tradespoon keeps all the big promises and if it may be worth it to sign in afterwards and to spend money for the service. So far, so well, but does Tradespoon work to improve your trading and your profit for real? Also this section containing a lot of useful video lessons for traders of all different levels is well organized for you can choose the topics you are interested in. You can watch every video by using your computer, your laptop or your mobile devices when ever you want and where ever you are. And remember, this is for free. 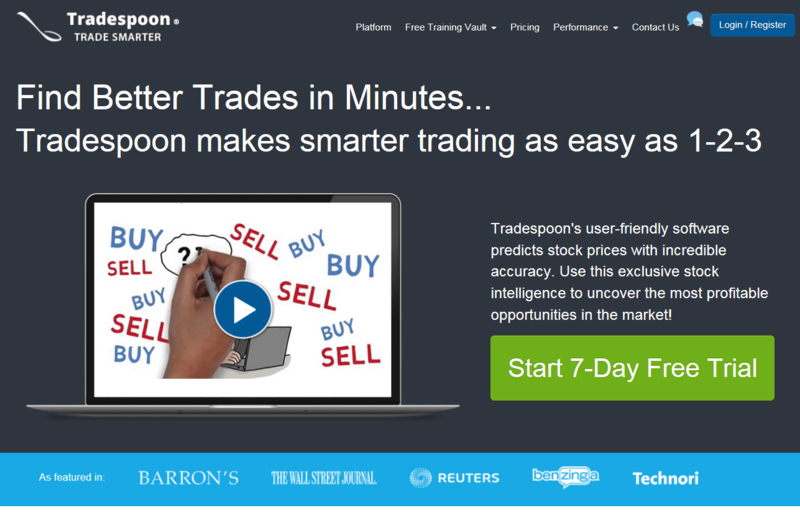 Tradespoon's free Trading Guide is just as user friendly. It is easy to select the topics you want to investigate and you don't have to go through a lot of others before you will get to the wanted point. This special guide includes all important aspects of trading, like e.g. technical analysis, the use of research tools like stock screeners and options strategies. This Trading Guide is also available as a PDF-book that you can download when ever you want. I think, you can feel quite safe here as you have the opportunity to sign up for the 7-Day Free Trial to find out which one of these subscriptions may be the best for your needs. Once you signed in for a membership with a monthly charge, Tradespoon offers you to pay your money back if you are not completely satisfied within the first 30 days of your membership. This sounds fair to me as it lowers your risk to make a mistake. More helpful points for your final decision are the permanently updated Tradespoon Expert Picks Performance list, the Tradespoon Live Trading Performance list and the Tradespoon Live Forex Trading Performance list. These lists will give an impression of how Tradespoon is doing the job (as of January 1, 2019). The website also includes a list of testimonials to show you what other users say about Tradespoon. ​Tradespoon is making ​big promises by introducing itself as the platform with the fastest data transfer, the most advanced tools, and the very best software and analysis of all in the market. Tradespoon focuses on options trading, which is one of the most o​riskiest investment strategies. However, if you are a beginner to beginner to day trading, then you should avoid options trading under any circumstances. Because with options trading you can lose more money than you have on your account. So how to win the race?